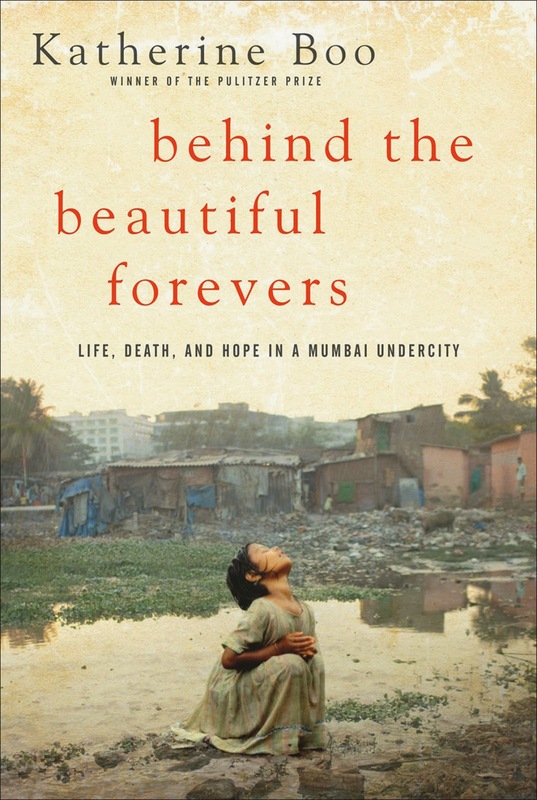 This is an amazing story about families who live and work in a Mumbai slum. It's one of my favorite nonfiction books I've read in recent years, and I wish the author would write a follow-up so I can learn what the families are up to now. Katherine Boo spent years reporting in the airport settlement of Annawadi, and the book unfolds like a novel. It's a fascinating look at how the underclass tries to survive and get ahead in a 21st-century economy. One of the things I found most interesting was how the families were constantly fighting with others in the slum, literally over scraps. And the police, the courts, the hospitals -- everyone, really -- were so corrupted that they're all trying to fleece somebody. In the author's note at the end, Boo points out how there was little sense of a shared community, because they were all so desperate to get ahead of their neighbors. In one disturbing scene, a man in the slum had been hit by a car and was left on the side of the road. Dozens of people walked by, but no one stopped to help because they were too wrapped up in their own affairs and couldn't afford to waste time helping him. After several hours, the man had died, and only then did people stop to help pick up the corpse. Despite the abject poverty, I found the book to be inspiring because so many of the families were hopeful that they could someday rise up out of the slum and join the more prosperous middle class of India. As Boo noted, there were three ways out of the slum: an entrepreneurial niche (like scavenging for scrap metals), politics (meaning corruption), or education. I'm pinning my hopes on Manju, a young woman who will be the first person in the slum to have graduated from college. Rise, Manju, rise!